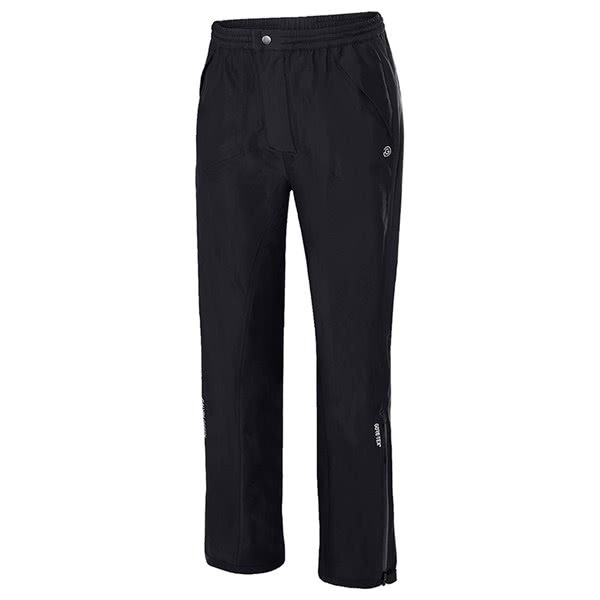 The Galvin Green Arthur GORE-TEX Paclite trousers deliver a superior fit amd the ultimate protection from the elements. Galvin Green have used the efficient GORE-TEX fabric technology to provide 100% waterproof, windproof and breathable performance. As the Arthur trousers are part of the Paclite range they are extremely lightweight and very packable when not in use. 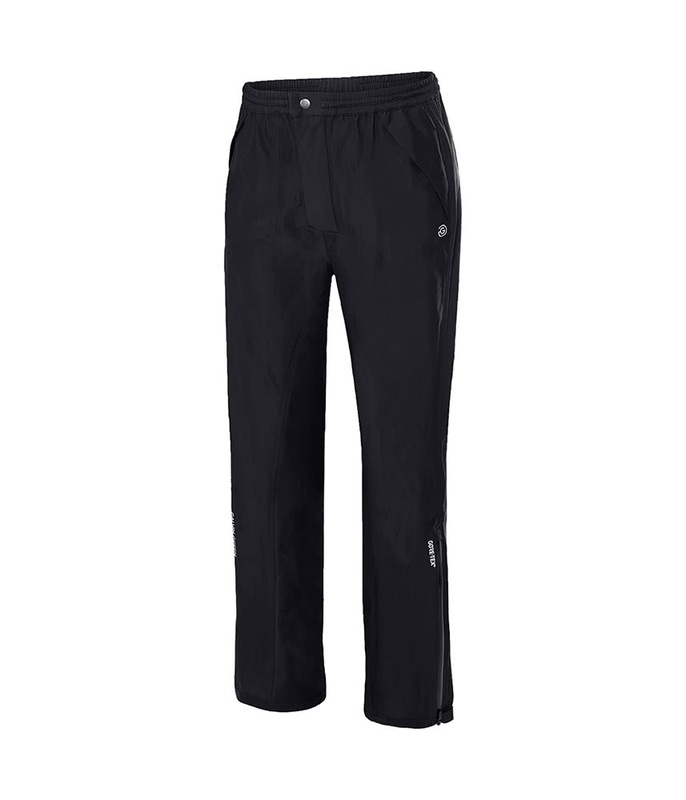 As GORE-TEX is highly breathable you are able to maximise use of the Arthur trousers in all weather conditions as it will wick moisture away quickly and efficiently whilst helping to regulate your core temperature, and improving your comfort when additional layers need to be worn. Galvin Green have created the Andy trousers with a split inseam design that will provide abrasion resistance. 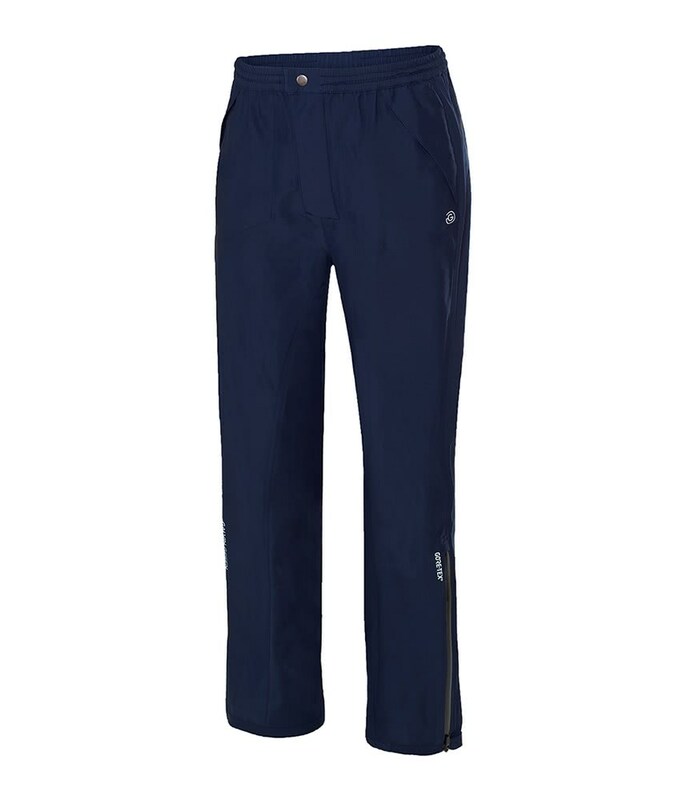 An elasticated waistband features a drawcord design that will allow you to tailor the fit while out on the course. 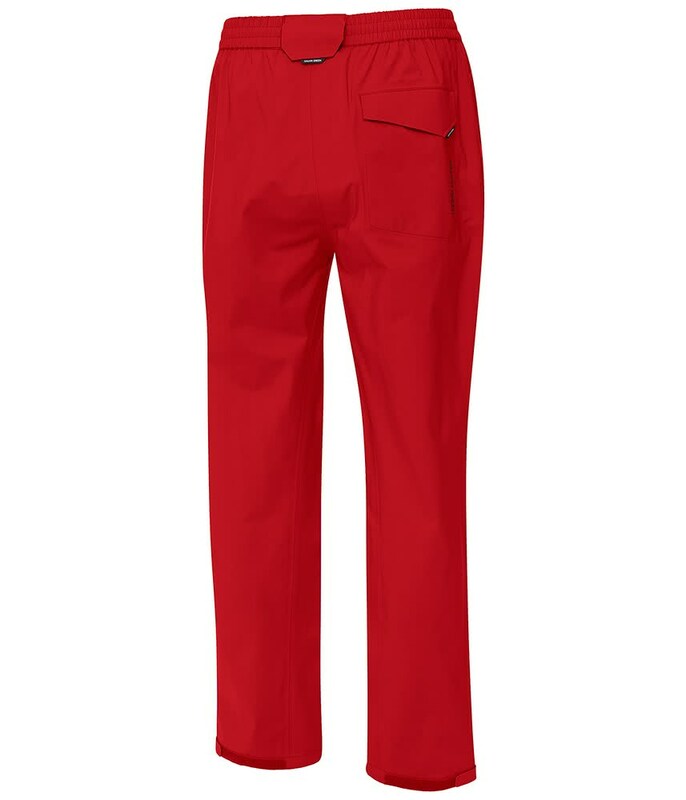 A water-repellent leg zipper is what makes it easy to put on and take off, the legs design also features an adjustable width design, perfect for the more fashion conscious golfer. The two front pockets are fleece lined to keep your smaller accessories, balls and hands warm and the back pocket is just the right size for a scorecard. Elasticated waist and drawstring for perfect fit. Front pockets with fleece lining. Split inseam for abrasion resistance.